Most people these days probably don't trust advertising, and for good reason. We all know a company is not going to tell us the downside of using their products, unless they're legally required to. So of course they will say its the best, since it would be kind of stupid for them not to. In the end, what matters more, are real people, especially those you trust, telling you what they like, and what they don't like. We trust them more because they have no reason to lie. That's the idea behind Influitive, a provider of advocate marketing software, which allows real people to become spokespeople for their favorite brands. The company announced on Wednesday that has raised an $8.2 million round of funding. The round is an extension on the $30.5 million in Series B the company raised in July of last year, bringing the total round to $38.5 million. The additional financing came from new investors Leaders Fund and Export Development Canada (EDC), along witrh returning investors including Georgian Partners, Relay Ventures, BDC Capital IT Venture Fund and OurCrowd, as well as several angel investors. In all, Influitive has now raised approximately $50 million in venture capital funding. In addition to the new funding, it was also announced that the company has made an acquisition, purchasing mobile apps developer company Ironark Software. Ironark is the company behind mobile apps Hub, which is a home and family organizer, and Workbase, a business task and schedule manager. No financial terms of the deal were disclosed, but it was revealed that the company's founders, and its lead developer, will be joining Influitive’s product division, where they will work on expanding Influitivie's advocate communities to mobile platforms. 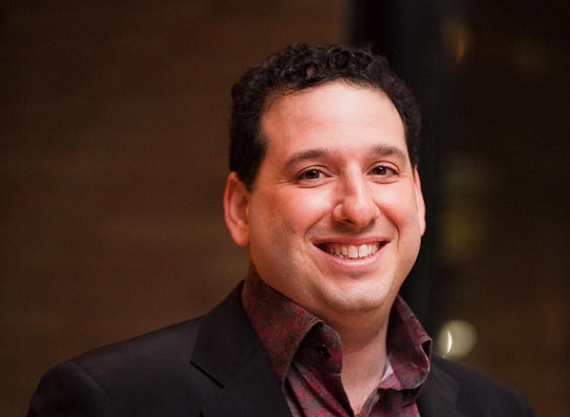 Founded in 2010, Influitive turns a company's best customers into its best sales people. 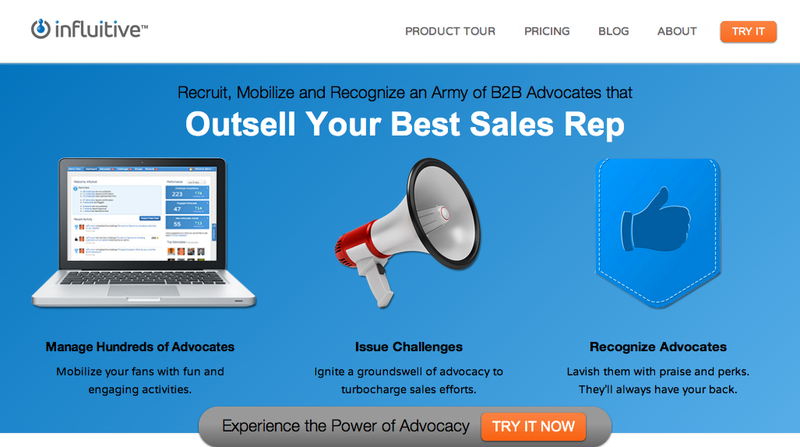 It helps B2B companies discover, mobilize and recognize their advocates in order to drive referrals, references and reviews. By using Influitive’s AdvocateHub software, marketers can build advocate communities in which members gain recognition and status in exchange for activities that help promote the brand’s interests and reputation. So, essentially, the company gets good word of mouth from its best customers, and those customers, at the same time, can be rewarded for their efforts, earning perks when they redeem a set amount of points. It's basically a thank you from the company for spreading the word. Some of Influitive's customers include Acquia, Atlassian, DocuSign, HireVue, Hootsuite, Oracle, Marketo and HP Software, which has engaged more than 1,000 IT service management customers in events, content creation and product feedback initiatives. Influitive is based in Toronto with offices in Boston, Palo Alto and San Francisco. Influitive helps companies manage and mobilize their advocates, fans and evangelists, driving more of the references, referral leads, success stories and social media interaction that is so crucial in today's social buying era. Influitive provides a unique software platform that companies can customize to provide the ultimate advocacy experience for their preferred customers and encourage them to remain enthusiastic evangelists for their products. Companies can scale their advocate operations to hundreds or thousands of advocates with the unique self-service, always-on AdvocateHub approach, driving more tailored reference calls, referral leads, success stories, social media contributions and more. Influitive, based in Toronto and San Francisco, is changing the face of B2B marketing through its innovative AdvocateHub platform for advocate marketing. Today’s buyers are leveraging knowledgeable peers at roughly twice the rate than they did even four years ago. Influitive’s AdvocateHub lets marketers capture the enthusiasm of their best customers, followers, and evangelists, turning that into direct support through all stages of the buying cycle, from social media reviews and customer referrals to case studies and references. Influitive’s customers include some of most successful and fastest-growing business-to-business software firms in the world, who use their AdvocateHubs to massively shorten their customers’ buying processes while maximizing win rates against competitors. For more information, please visit http://www.influitive.com.